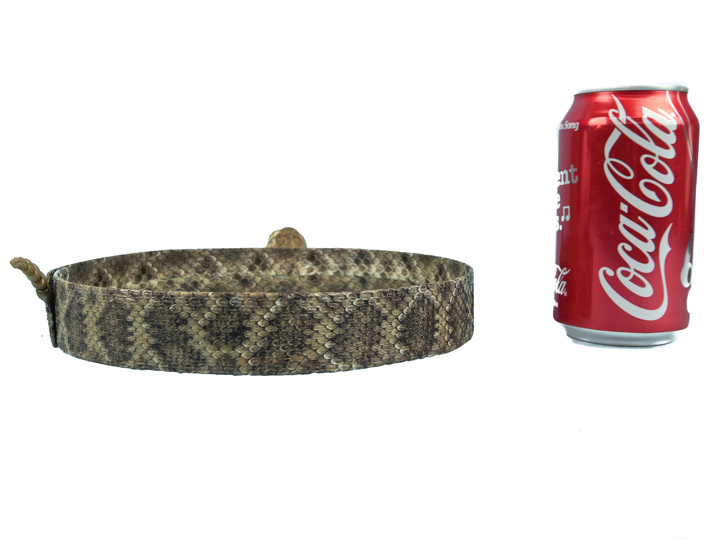 These are accessories made from real Texas Western or Eastern diamondback rattlesnake. Please see the individual sections below for more information. The single striker style features an open-mouthed half-head with fang set against a rattlesnake skin backing with a braided border. 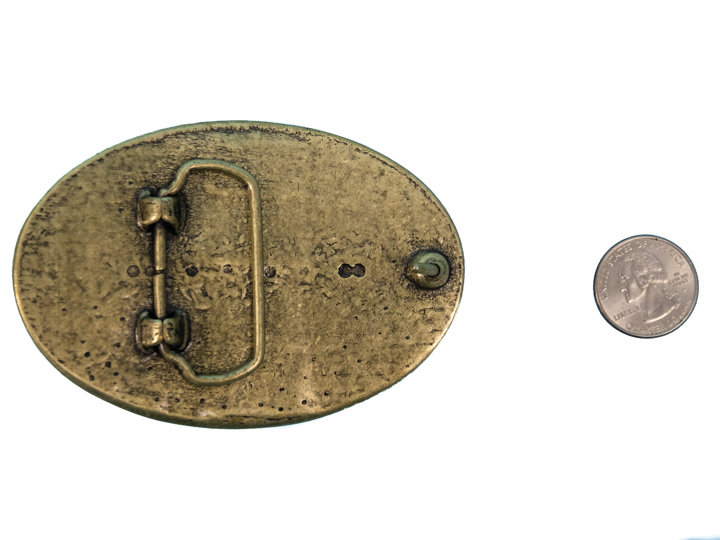 We measured a sample buckle to be 3.75" long by 2.5" wide. 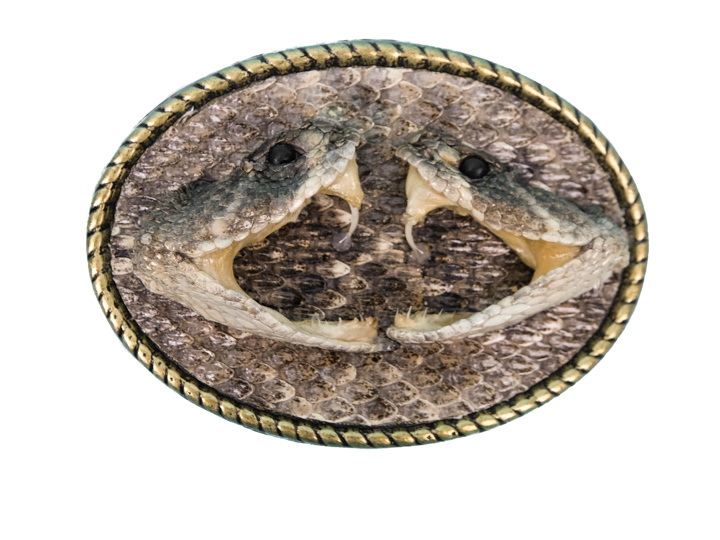 The duelling striker heads style features open-mouthed half-heads with fangs set in a duelling strike position against a rattlesnake skin backing and a braided border. 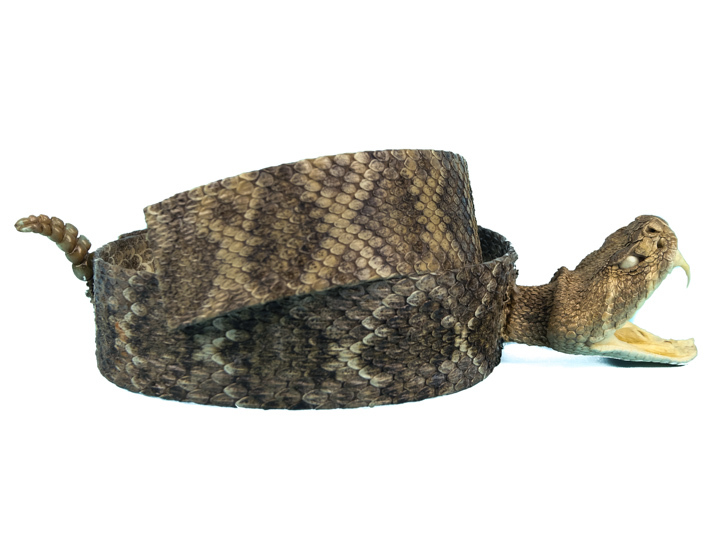 We measured one buckle to be 4" long by 2.5" wide, weighing 71 grams. 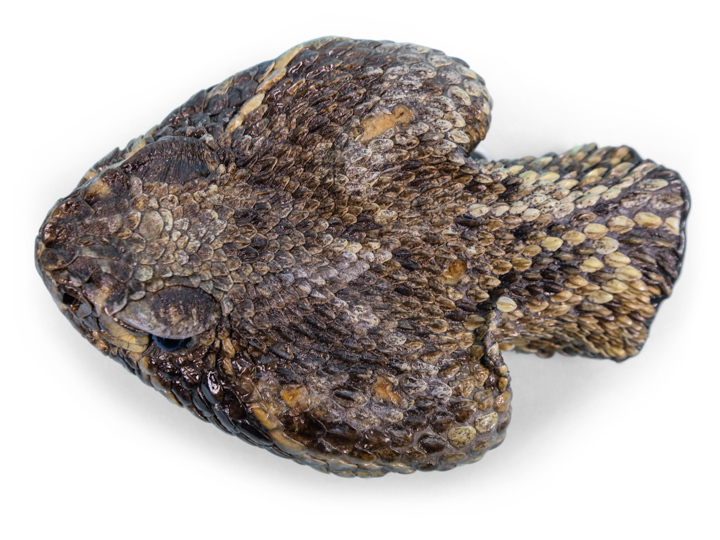 The full head style features whole close-mouthed heads. 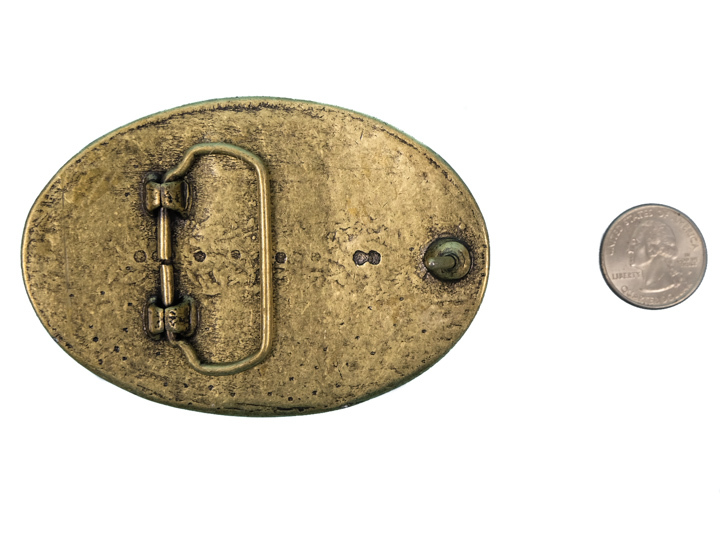 These are coated in resin before the buckle is attached to the underside. 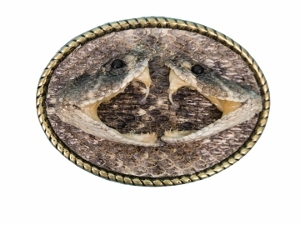 They usually average 3" to 3.5" by 1.75" to 2" in size. 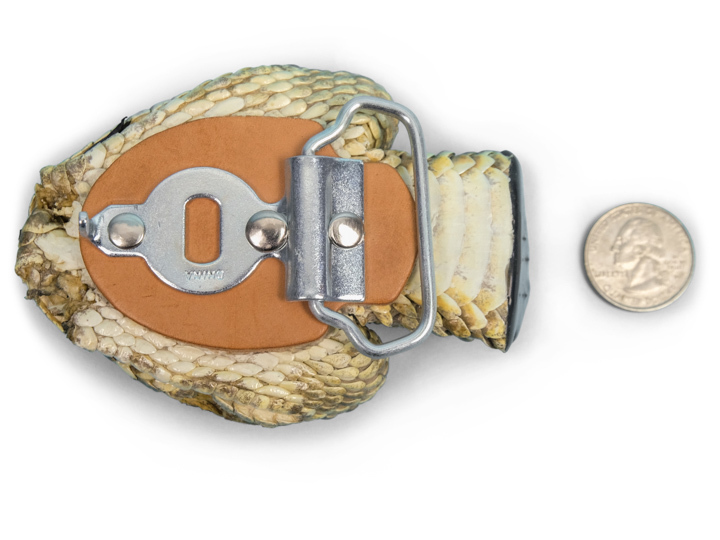 We measured one buckle to be 3" long by 2" wide, weighing 38 grams. 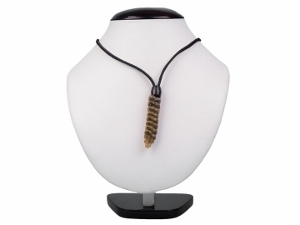 Please note that, as these are natural products, the dimensions of the heads will vary from buckle to buckle. 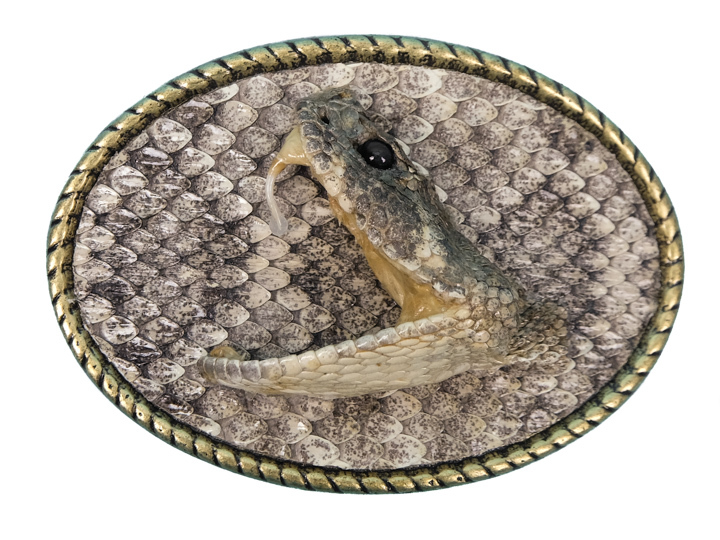 These are genuine leather hat bands with a rattlesnake skin outer, perfect for decorating those leather hats! 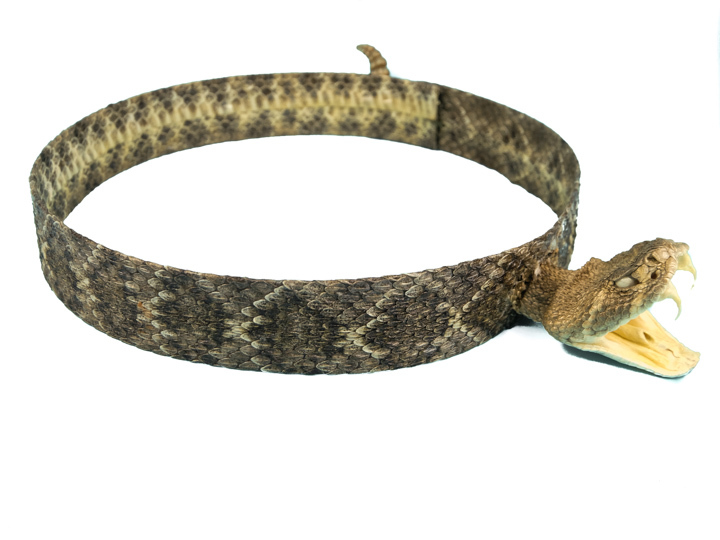 The 1.25" wide hat band is 27" to 28" long with an upright rattle, and a rattlesnake head. 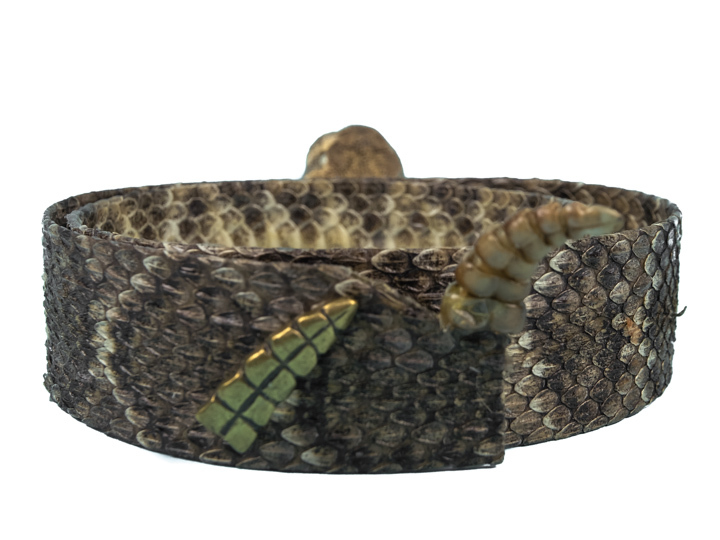 This style has snakeskin on both sides of the band. 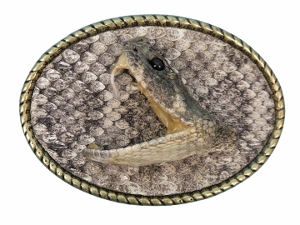 It is secured with a metal pin in the shape of a rattlesnake rattle. 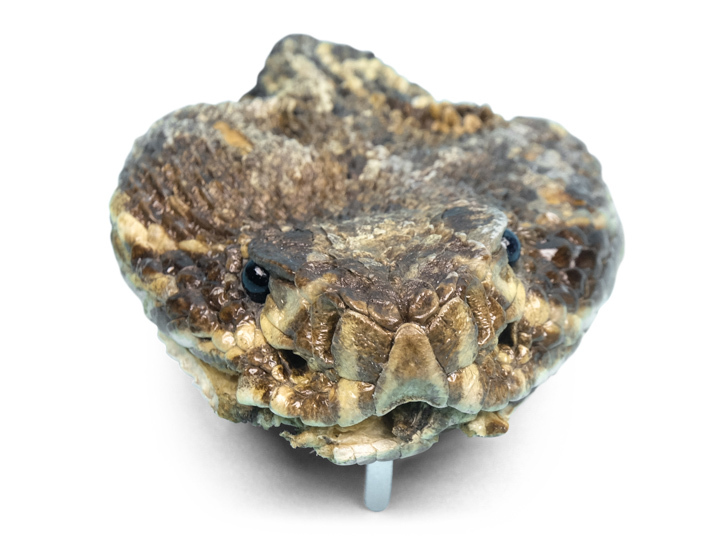 These are made using real Texas Western or Eastern diamondback rattlesnake rattles. 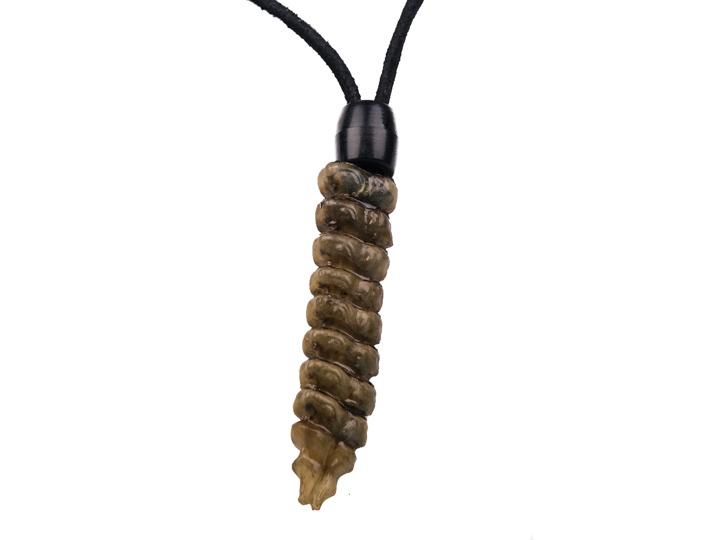 The rattle is hung on a black leather cord with a black plastic bead, and are lightly coated with polyurethane to add shine. 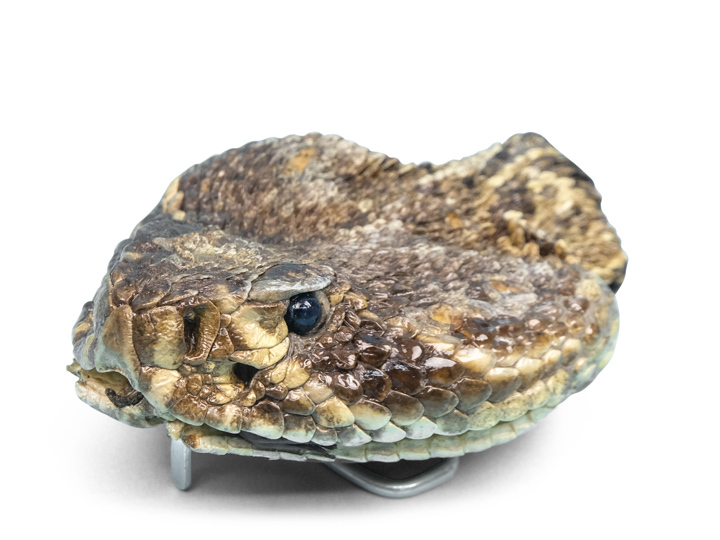 The rattle is approximately 2.5" long and 0.5" wide and has at least 8 or more segments. 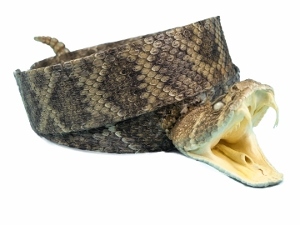 The length of the leather cord is 28" long. 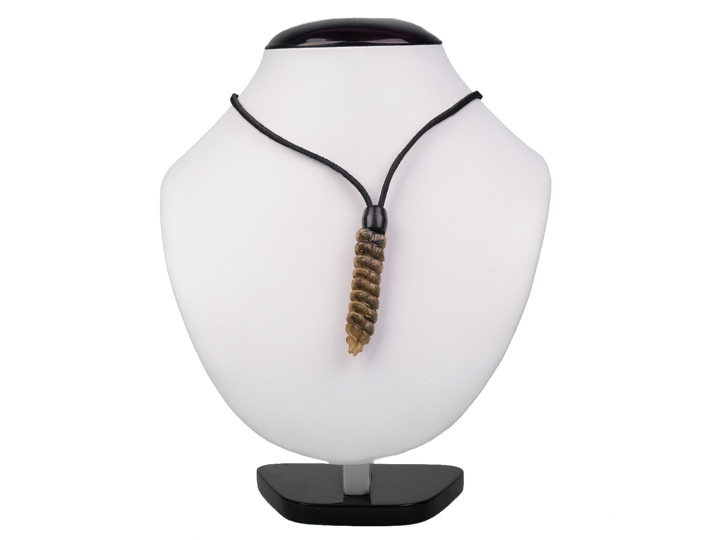 Each necklace weighs approximately 0.1 oz. While on the rattlesnake, the rattle can be dragged along sand and rocks as the rattlesnake slides around the desert. As such, please understand that sometimes a button or 2 can be cracked or broken.